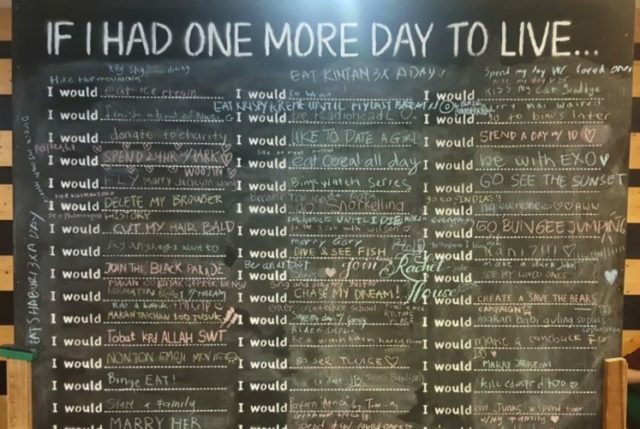 If you only had one more day to live, what would you do? You can write down your answers on a 5.76 square meter board at Binus University International on the sixth floor of fX Sudirman, Central Jakarta. Open to the public, it is available for 11 days from Oct. 16 to 26. Dubbed The Living Wall, it is a collaboration between Binus University International’s student clubs and the Rachel House Foundation, which provides palliative care for children suffering from chronic illnesses, such as cancer and HIV AIDS. 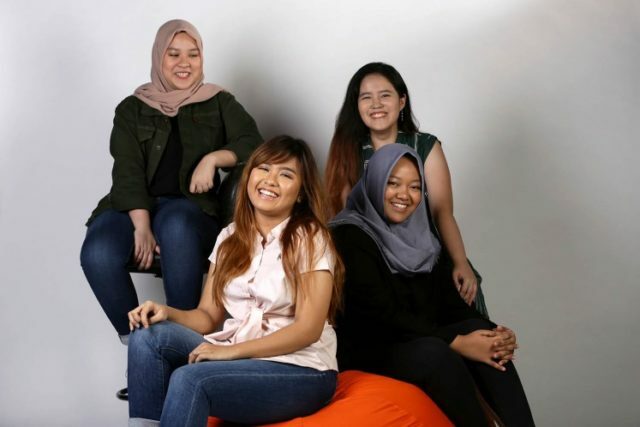 At first, Yosephine, Amanda and fellow students Zahra and Nazira were interested in volunteering at Rachel House, but then they decided to hold The Living Wall exhibition. Their campus held a similar event a few years ago but sticky-notes were used at that time to share people’s answers instead of the board. Those who are interested in understanding more about palliative care are welcome to join the event. There will be a talk show on the opening day and poetry night on the last day. Information about how to donate and volunteer are available throughout the event as well. Aiming to raise awareness of palliative care, The Living Wall is part of the Rachel House Foundation’s program. 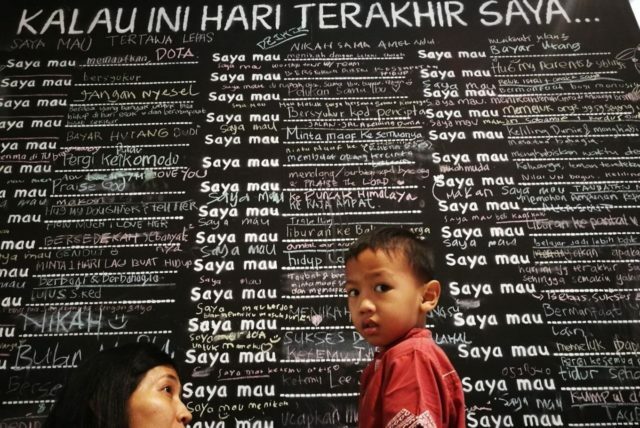 Back in 2017, it celebrated its 11th anniversary with five giant boards in Cilandak Town Square (CITOS), South Jakarta, where around 1,600 people wrote on the boards. The foundation also displayed stories about children who were receiving palliative care at that time.